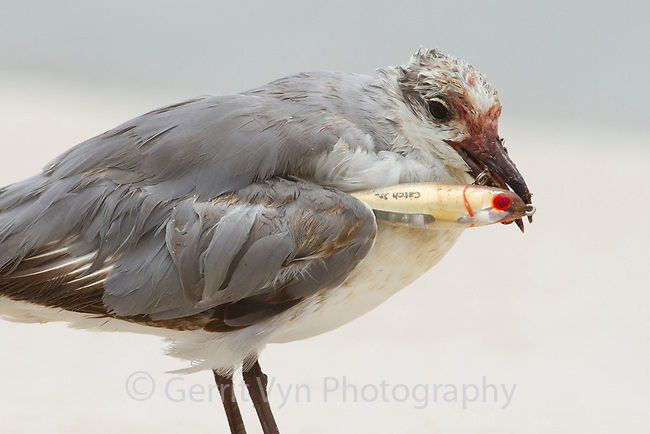 Immature 1st cycle Laughing Gull (Larus atricilla) injured by a fishing lure. Harrison County, Mississippi. July.